Tech is a business that thrives on the new and the flashy. Yet Microsoft Windows is still the undisputed titan running most home PCs after more than two decades. More than 750 million people have Windows, including the venerable Microsoft Excel, on their computer. However, there are only a fraction of those 750 million who actually know how to use the program. If your business is business, then you need to be on a first-name basis with Excel, and that’s a place you can reach with this Ultimate Microsoft Excel training bundle. You can get the entire package now for just $34, an over 90 percent savings, from TNW Deals. In all, you get six courses, each burrowing deep into a different, yet vital area of Excel’s spreadsheet-loving, data-manipulating power. Microsoft Excel from Beginner to Advanced (a $175 value): A complete overview of Excel’s format and capabilities, getting even the novice started on formulas and functions. Microsoft Excel: Advanced Excel Formulas & Functions (a $195 value): Turn Excel’s organizational power into an analytical advantage, effortlessly manipulating and displaying your data. Microsoft Excel: Data Visualization, Excel Charts & Graphs (a $175 value): Understand the reservoir of presentation options in Excel’s data visualization tools and techniques. Microsoft Excel: Intro to Power Query, Power Pivot & DAX (a $175 value): With Power Query, Power Pivot, and Data Analysis Expressions (DAX), dive deep into Excel’s data modelling abilities. Microsoft Excel: Data Analysis with Excel Pivot Tables (a $175 value): Pivots help explore and analyze raw data quickly, while revealing powerful insights and trends… so learn ‘em here! 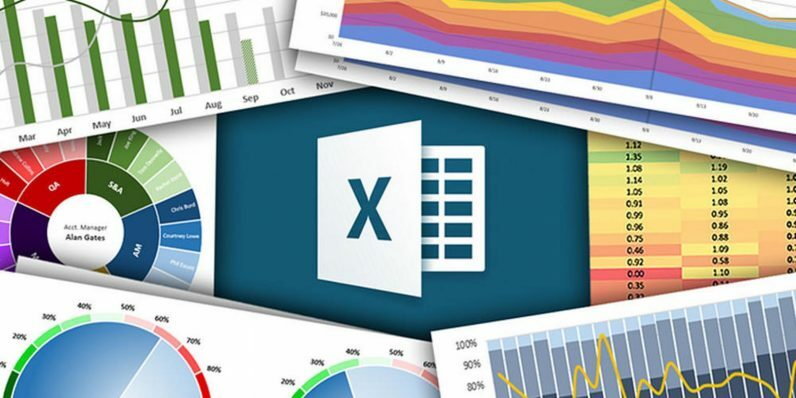 Master Microsoft Excel Macros and Excel VBA (a $50 value): Streamline how you use and display data in Excel with this Macros and VBA examination. We’ll work through more than 33 hours of instruction, all leading you to Microsoft Excel mastery. It’s almost $950 worth of Excel training, but with this offer, you can get it all for just $34 while this deal lasts.